If you lived in a town where you were more likely to see tumble weed roll through the streets than any excitement, you’d understand this. Fokol Lutho is a town where nothing ever happens. Monotony, sighs and longing… are kept at through harmony, songs and loving. A Town Called Fokol Lutho opens to the melody of five male voices, an A Cappella cast made up of Carlo Daniels, Moenier Adams, Waasief Piekaan, Nkosekhaya Mgoqi and Jervis Pennington, who wrote and composed the show. Fokol Lutho, Pennington says, is based on a ten shack informal settlement he found while lost near Colesberg in the Karoo. Though the characters themselves are figments of his imagination, Pennington does say that the character he plays, Morkel Tutu, is loosely based on his own life. Morkel, a quiet man who says very little through out most of the play, sitting meekly behind his guitar, has his story told by the other characters. Born a black man in a white skin, he tries to hitch out of Fokol Lutho, failing perhaps for using the wrong finger to solicit a ride. But his own voice, when he finally sings, is worth the wait. Did you want to be black Jervis? A Cappella can run the risk of being cheesy and using clichéd lyrics. But there was nothing in this little production that made me cringe, no off key singing and every song was entertaining and full of fun: an original way of looking at stereotypes. A Town Called Fokol Lutho is the first on stage performance South Africa has had from Jervis Pennington in 30 years, since his last show with his 80s pop group The Soft Shoes, a band “supposed to be like Smokey Robinson and The Miracles, but ended up being more Backstreet Boys”. With a great reception in this year’s National Arts Festival in Grahamstown, and now great reviews from it’s run in Kalk Bay’s intimate theatre, I wondered what had kept Pennington from the stage for so long. All the characters are a little rejected, a little lovelorn, singing songs about people that ‘no one loved’. Why so little love in play? Jervis, do you have enough love in your life? Humour saves Fokol Lutho from sentimentality and the love the characters crave will be given to them by their audiences, for neither the town nor the characters should be underestimated. Catchy songs and memorable characters; there aint fokol reason you shouldn’t go and see it. 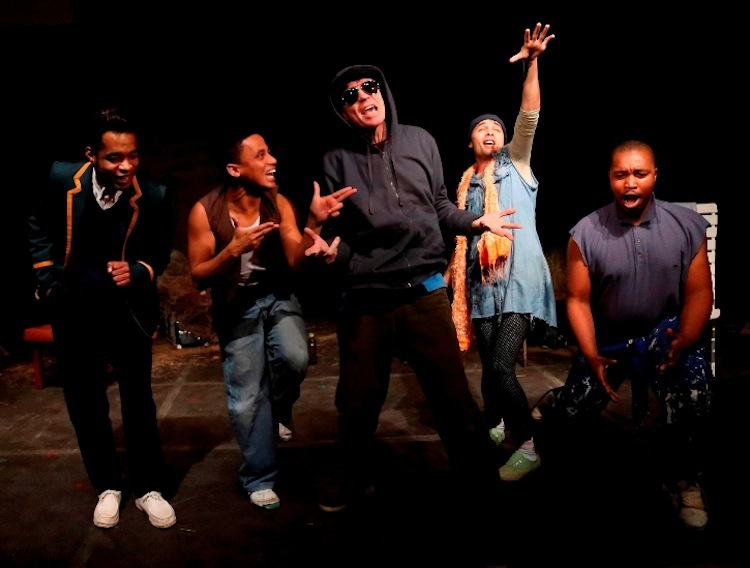 * A Town Called Fokol Lutho is playing at the Kalk Bay Theatre until August 10.